Behind The Scenes - "A Little Strange"
Upload: Outreach Program - "A Little Strange"
After 8 years of being on hiatus, I finally completed my first video project. The video was created for Microsoft's Upload: Outreach Program. The requirement was to create a 1 minute video about any Xbox 360 or Xbox One game you love. I decided to do my video on Tom Clancy's The Division by Ubisoft Entertainment for Xbox One. This project from beginning to end was a 5 day labor of love. You will understand more of what I mean in the coming week when I do a blog post on the postmortem of "A Little Strange". I also plan to do a behind-to-scene blog post on filming the video. Enough with all the chatting, without any further ado I give you "A Little Strange"! Now that I have finalized the type of camera I plan to purchase, I can finally start looking at building my lens collection. As outlined in my last post, I decided to purchase the Blackmagic Cinema Camera MFT with the Passive Micro Four Thirds (MFT) mount. Since the BMCC MFT has a passive mount, I will be limited to only manual lenses. Truth be told, my personal preference is manual lenses. This goes back to my days in college where I learned the most from manually doing things. So my thinking is the only real way to master focusing is to do it manually. Getting back to the topic at hand, I’ll be the first to admit that the MFT mount do not have a large number of lenses or lens manufactures. What they’re missing in quantity of manufactures they make up with the quality of the glass! The only real goal beyond selecting quality glass was picking four or five lenses that I could use in most shooting situations. SLR Magic and Voigtlander make some of the fastest primes on the market so my selection consists of the following. While I will not go into detail on each lens, the five lenses listed above will allow me to capture the critical wide, medium, and close up shots. A lens collection this diverse also provide the flexibility to go in-between the three primarily shots. Since some of the lenses cost upwards of a thousand dollars, I will slowly build up my collection one lens at a time. The first lens that I will purchase is the SLR Magic 12mm T1.6. In the event that I need a specific lens for a specifics shot then I’ll rent. There are a number of great online lens rental shops. There you have it! 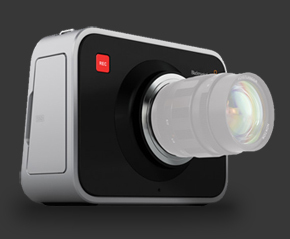 With NAB 2013 just around the corner, I’m hoping Blackmagic Design will announce some traction on shipping the Blackmagic Cinema Camera MFT. I need to hear something because I’m anxious to order my first lens. HOW EXCITING!!! 1. Since color grading, color correcting, chroma keying are on my short list of things to learn, I need the ability to record raw or uncompressed video (either internally or externally). Since I’m shooting for the sky, preferably something with color information higher than 8bit. 2. Shallow depth of field! SDofF can control how you tell your story, so this is a must. 3. Since I’m not made of money, I had to set a limit on how much I can spend. I do have a kid and wife to feed after all. With that said I’m sticking within a budget of three to four thousand dollars. 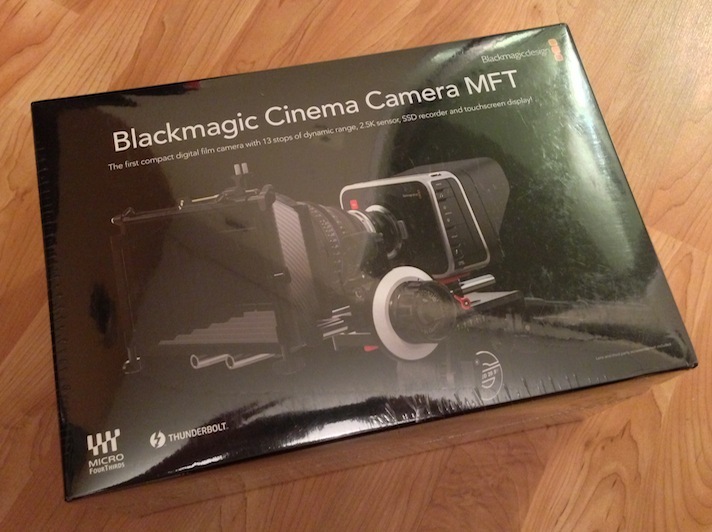 After weeks of going back and forth I have decided to purchase the Blackmagic Cinema Camera, specifically the MFT model. Two things really stood out as to why the BMCC was the best camera for me. One, the camera shoots 2.5K 12bit RAW! Two, thirteen stops of dynamic range. These two items alone exceed my highest expectations. Most of the work I will be doing will be for the Internet with a resolution of 1080p. 2.5K is more than what I need but it gives me some flexibility to play with the image more. One of biggest selling points for traditional film cameras was the amount of dynamic range, which sits around 13 to 14 stops from what I have been told. The Blackmagic Cinema Camera is stated to have 11 to 13 stops. That’s HUGE for a three thousand dollar camera! With that kind of range, the camera should capture a great amount of information in the shadows and highlights. The reason I chose the MFT model versus the EF model is because I wanted the fastest and widest glass I could find. From what I have seen there is not a lot of wide angled lenses for a crop sensor with EF glass. Plus the MFT model would be a better fit for using different types of lens adapter mounts. Since I don’t own any EF glass and I wanted all manual lenses, this just seemed like the perfect fit. While some areas of the camera are all roses, a lot of areas are not. Some of the challenging issues are the TRS audio input and all the I/O ports being located on the left side of the camera. At the time of this post, my single biggest issue with the camera is the lack of audio meters. I’m really hoping that will change with the next firmware update. With that being said, none of this stuff is a deal breaker. One area that I had to concede on was the budget. I know this camera is only three thousand dollars, which is within my budget but the problem is it will need a lot of accessories to make it a functional cinema camera. When it’s all said and done that can end up costing me more than four thousand dollars. The only saving grace is I don’t have to buy it all at once. I can piece it together as needed. Now, with all the formalities out of the way, I'm happy to announce that I have preordered the Blackmagic cinema camera and my first lens. O Happy Day! Late last year Blackmagic announced that they were delaying the release of the MFT model until they can fulfill most of the preorders of the EF model. Fast forward to the middle of March and there is still no sign of the MFT model shipping any time soon. This is going to be a LONG brutal wait! Hello World! Welcome to the newly designed Jacobi Pickett.com website. It’s been a while since I last had a web presence on the Internet and to be honest, it feels good to be back. This site serves two purposes, a creative filmmaking and visual effects portfolio and a blog. The creative portfolio will be the central repository for all the various projects that I work on. The blog is my personal outlet to the world. There will be various types of post including product reviews, project previews, behind the scenes videos, and much more. The blog will not be exclusive to filmmaking related topics. I plan to blog about video games, gadgets, movies and a variety of other topics. Feel free to join in on the discussion; I encourage communication, positive or critical (as long as it's constructive).